The legendary violinist and long-time music director of Toronto’s Tafelmusik Baroque Orchestra, Jeanne Lamon, leads sixteen members of Victoria Baroque in a selection of grand Overture Suites and ravishing Concerti Grossi celebrating the first-ever public concert series in Paris. Formed in 1725, Le Concert Spirituel brought music – previously exclusive to the courts – to the public realm, and became a platform to the finest of the French and touring artists. This concert revels in the splendours of the French Suite and Italian Concerto, and the contrast and blending of distinct national styles at what became the most acclaimed and imitated concert series in the 18th century Europe. Music by Telemann, Rebel, Geminiani and Delalande. Music Director of Tafelmusik from 1981 to 2014, Jeanne Lamon has been praised by critics in Europe and North America for her strong musical leadership. She has won numerous awards, including honorary doctorates from York University, Mount Saint Vincent University, and University of Toronto, and the prestigious Molson Prize from the Canada Council for the Arts. In 2000, Jeanne Lamon was appointed a Member of the Order of Canada, and in 2014, a Member of the Order of Ontario. She is in demand as guest director of symphony orchestras in North America and abroad. She is an enthusiastic teacher of young professionals, which she does as Adjunct Professor at the University of Toronto and through Tafelmusik’s artist training programmes. Jeanne is the Artistic Director of the Health Arts Society of Ontario, an organization dedicated to providing seniors in long-term care and retirement homes with quality concerts, a project to which she is passionately devoted. She also volunteers at Bridgepoint Health Centre playing music for patients in palliative care. 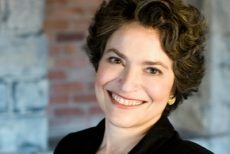 Jeanne Lamon stepped down as full-time Music Director of Tafelmusik in June, 2014, served as Chief Artistic Advisor until June of 2016, and is now Music Director Emerita. She recently moved to Victoria and plans to devote more time to playing chamber music, teaching, guest directing, and pursuing various hobbies. Now in its eighth season, Victoria Baroque brings together early music specialists from Vancouver Island and beyond. Victoria Baroque’s home venue is the Church of St John the Divine in downtown Victoria, and invitations for guest performances have included Early Music Vancouver, Early Music Society of the Islands, Cowichan Symphony Society, Artspring, and Vancouver Island Chamber Music Festival. The ensemble’s repertoire ranges through chamber, orchestral, vocal, and choral works from the Baroque and Classical periods. Collaborations with international guest artists are an integral part of the ensemble's programming, and past guest directors and soloists have included Tafelmusik's Jeanne Lamon; leader of the English Baroque Soloists, Kati Debretzeni; British harpsichordist Steven Devine; Pacific Opera Victoria's Timothy Vernon; and soprano Nancy Argenta. Victoria Baroque is passionate about outreach and engaging with emerging young talent through community workshops, school concerts, and collaborations with the Victoria University School of Music, Victoria Conservatory of Music, and the Greater Victoria Youth Orchestra. Victoria Baroque's debut CD, Virtuosi of the Baroque, on Marquis Classics, was nominated for a Western Canadian Music Award in 2014.